If you’re flying halfway round the world, there’s one option to ensure you’ll stay relaxed and productive throughout 8 hours of your trip. Chartering for a private Bombardier Global Express means you will have a lengthier legroom to stretch your feet out. You can even recline your chair and turn it into a semi-bed without worrying if you’re taking up too much space. This aircraft also has the complete facilities you’ll need from food and drink provisions, in-flight entertainment, interconnectivity set up and so much more. To make the most of your upcoming trip, it’s best to inquire about the plane’s exact list of facilities with your operator. Whether you’re going on a grand vacation or to a transcontinental delegation, you’ll be sure this aircraft will cover your travel needs. 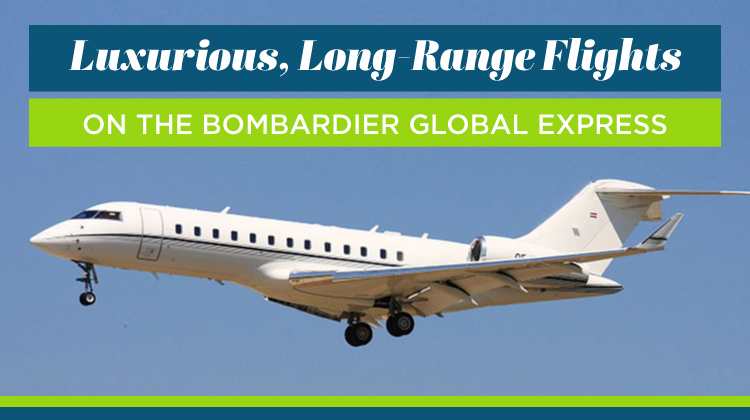 Know more about the specifications of the Bombardier Global Express, and book for your very own, private flight today. As you charter for a private flight on the Bombardier Global Express, you’ll find it has the complete amenities needed for relaxing and productive flights. For instance, each standard passenger seat has a table which can be pulled out. The pull out table may be used for enjoying meals, snacks and drinks. The same table may also be transformed into a platform for your laptop. This way and upon connecting to the aircraft’s WiFi connection, you can stay on top of your projects. The plane also has a galley where small appliances and other materials may be found. To prepare your food and drinks, the aircraft’s galley usually has a microwave oven, coffee machine with espresso maker, plus chiller or fridge. Compared to most long-range jets, the Bombardier Global Express has the advantage when it comes to speed. Some reviews have indicated it can fly up to 30,000 feet in less than 20 minutes. From Toronto, Canada, this aircraft can reach as far as Beijing in China, Tokyo in Japan, Cairo in Egypt or Ankara in Turkey. Will you also happen to fly to the farthest range of this aircraft? Then it would be safe and best to inquire about its allowable passenger plus luggage load with the operator. Given your intended location, routes and flight plan, a much lighter aircraft lets you fly to much farther distances within faster paces. 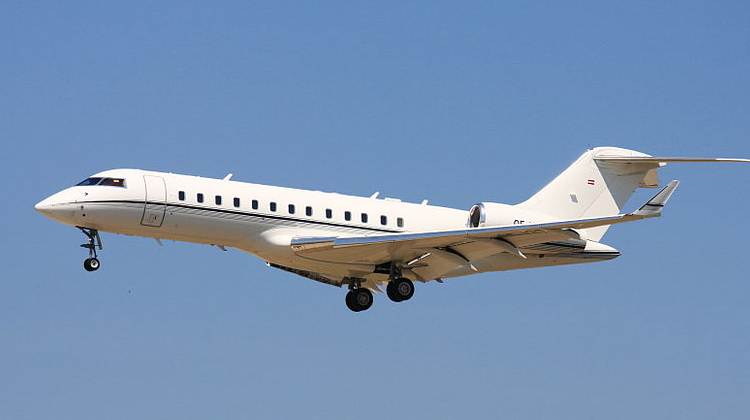 Manufactured by Bombardier Aerospace, the Bombardier Global Express was first flown in 1996. This aircraft roughly has 600 units produced and being flown all over the world. Additionally, it was intended to be manufactured for business flights, thus its related configurations are quite fitting for those especially going on enterprise oriented trips. Did you know this plane also has about 6 variants for you to choose from? These developments were adjusted to fit various applications such as for surveillance and civilian purposes.